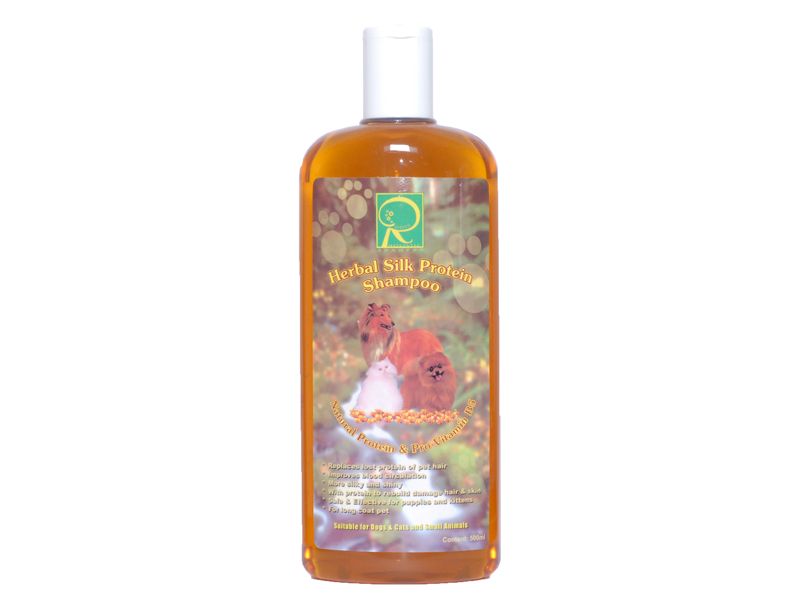 Roots Herbal Silk Protein Shampoo is an natural herbal pet shampoo formulated with traditional herb extracts, natural protein and pro-vitamin B5. It helps condition skin and coat leaving the coat with a deep lustre and sheen. Roots Herbal Silk Protein Shampoo is mild and gentle, soothing and healing to the skin and coat. Coat dries smooth and tangle free, leaving your pet with a fresh clean scent. -Aloe Vera Gel (Aloe Vera Gel possesses an astringent, healing, anti-inflammatory effects widely used in traditional medicine and skin care. When applied, it’s soothing and nourishing qualities will make the pet’s fur more silky & shiny).